Glorious blue skies and pleasant medium breezes blessed Lymington for the sixth and final monthly RS Aero UK Winter Training weekend of this season. However, there was nothing wintery about this weekend with summer kit and suncream coming out for the first time this year! 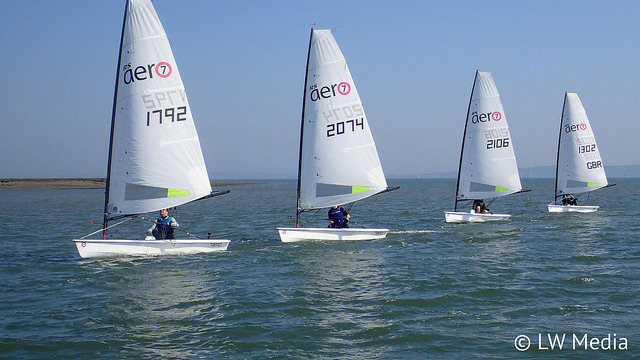 A fantastic turnout with 22 RS Aeros in the coaching over the weekend and a further 3 involved in the club activities enjoyed Lymington near its best. 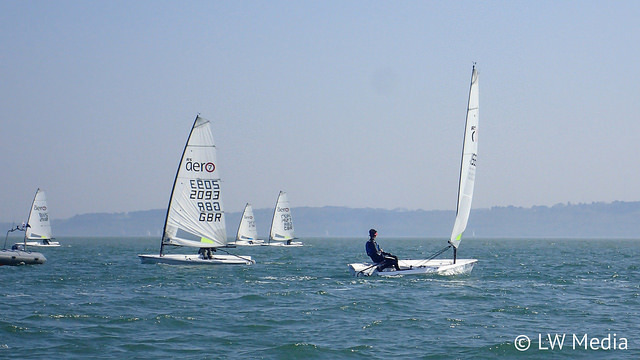 The focus of the weekend was downwind wave sailing, improving both balance and speed. 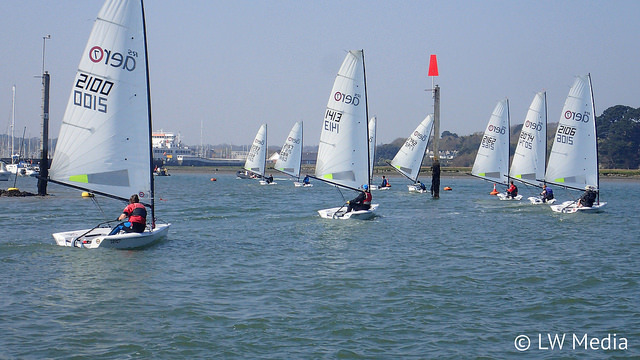 The Class brought onboard the expertise of ex Laser Radial campaigner and European Bronze medalist Chloe Martin to teach us some of her tricks. 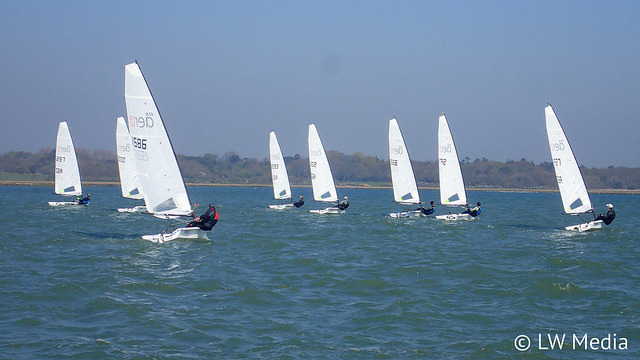 Any two hours are never the same at Lymington and whilst we spent most of Saturday beating upwind against the tide in an Easterly we spent most of Sunday practicing running downwind in a Westerly against the ebb. There where plenty of nice waves about and enough wind for marginal planing at times to improve our speed and balance through the waves both upwind and down. Coaches Chloe Martin and Paul Robson kept us busy up-turning, down-turning, trimming and rolling in an attempt to learn more about what combination of techniques works best on the RS Aero in various wave patterns. It was so nice out there we had two good long sessions on the water each day. Only a few neglected muscles were left complaining! Thanks go to Keith Willis who was out in the mothership providing support together with refreshments, photos and video! The weekend proved a great finish to the winter schedule, to get set for summer and to further develop this programme again next winter. Already the 2017/18 Winter Training programme is in place. Once again there will be six monthly weekends that include three new venues. A new UK Youth Squad is being launched which shall run within the Winter Training programme. Full details of the 2017/18 Winter Training and UK Youth Squad applications are HERE. Photos and Video thanks to Keith Willis, LW Media. Photos HERE.